Vajra Security Solutions Pvt Ltd., established in the year 2009 as a Private Ltd. Co. Registered under Indian Companies Act 1956 is renowned in the market due to their abilities of providing world class Security Services. Services provided by our company include Security Solutions, Security Equipments, Housekeeping Services, Bullet Proofing of Vehicles, Detective Services, Disaster Management Services, Man Power Training, Armed & Unarmed Guards, Fire Fighting Service, Disaster Management Services, and Security Consultancy. Our task is conducted ethically by our amazing professionals, who show their dedication and commitment towards offering qualitative services. Moreover, under the able guidance of our company’s mentor Mr. Brigadier Anil Shrivastava, we are able to carve a remarkable position in the sphere of service providers. Our team of Ex-army commandos Ex-serviceman, armed service guard and paramilitary are known for their obedience and discipline, when they are performing their duties. All our team members work 24X7 in order to provide our clients personalized services and also possess dedication, discipline, namely devotion and three D’s qualities. We have appointed our professionals in the organization after the rigorous and comprehensive analyzing of their skills and abilities. Our team members perform their task in great coordination, with a view to make sure speedy and effective development of these services in varied industries. Strong emphasis has been laid by us on selection, recruitment and training of our team, so that the requirements of our clients are fulfilled successfully. Systematic arrangements of action have been followed by our professionals such as meeting the requirements of our customers completely. Services of Security Services and Home Security Equipments. Qualitative and high class services are the important strength of our company. Quality has been taken by our company as an elusive feature such as attitude, which is reflecting in the services offered by us. All our Personnel from Paramilitary Forces, Ex NSG Personnel, Personal Security Officer (PSO), Ex-Servicemen and many others possess in-depth knowledge and experience in their domain. They are highly trained in performing their operations. We are backed by a state-of-the-art infrastructural facility that enables us to take care of our processes and business philosophies in the best possible way. Complete unit is segregated into department so that we can entertain the clients and understand their requirements in terms of security services in the best possible way. We follow a business philosophy wherein, we believe in creating cordial, profitable and mutually beneficial relations with our clients and we do follow this philosophy with utmost passion and zeal. Serving as beacon for our entire workforce, based on our values we work on building trust with customers, colleagues, stakeholders and the surrounding community. Our vision is to provide contentment to our clients through steadfast, principled, competent and worthwhile services. We as a company is guided by a team of mentors, who have great experiences in the domain of offering security services. Their able guidance has helped us in framing out a good result with the clients to whom we are serving and have served till date. 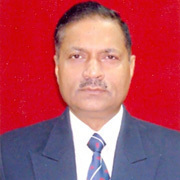 Brigadier Anil Srivastava VSM retired from Indian Army has gained an experience of 38 years of experience as an army officer in the Indian Army initially with elite 8 Gorkha Rifles consecutively for 11 years and later has served as a Judge Advocate General Department, heads the organization. At his time he was the BEST YOUNG OFFICER of Infantry himself was later posted as an instructor at Infantry School where young Infantry officers are trained in Commando Operations, Weapon Training and Infantry Tactics. For his dedicated services to Army, he has been awarded several times with medals like Vishisht Seva Medal (VSM) by President of India, twice was awarded with Chief of Army Staff Commendation and once with General Officer Commanding-in-Chief's commendation. He is a firm believer of pursuit of excellence and welfare of men. A man with sharp business acumen, Mr. Vijay Kumar is a man with vision, whose positive energy and a dedicated approach has helped us in developing a good rapport in the corporate world. Being a philanthropist, he believes in serving the mankind in all ways that he can. Our array of security, disaster management and housekeeping services are besieged towards gratifying the requirements of our clients from commercial as well as residential sector. Being customer centric organization, it is extremely essential for our company to acquire the utmost satisfaction of our customers by offering them services according to their specifications. We ensure that all the projects undertaken by us related to all our securities are according to the requirements of the customers. In addition to this, we understand the requirements of our valued customers and conduct alteration in these services, when it is required, so as to formulate our services valuable for our esteemed customers. Moreover, our experts continuously converse with our customers throughout the implementation of our accepted task(s). A part from that, we also make sure that all the services offered by us reach to our customers within the prescribed time frame. Our ethical and transparent business dealing assist us in fetching the huge support and trust of our customers and also enable us to provide these services in the domestic market. Services offered by us are overwhelmed towards satisfying the customer’s requirement from residential and commercial sectors. Our loyalty, dedication and commitment towards offering these services have enabled us to carve a remarkable position in the market. We keep ourselves updated with the current development of the market and make an effort in instantly meet the demands and requirements of our respectful customers.